Most of the clients I work with need to use English in their professional lives, but often don’t have the chance to practice, or the time to sit through boring, irrelevant lessons. They may have an international conference call once every few months or need to speak at a meeting, but don’t feel confident enough to understand everything that is said, or to express their opinions fluently. There are many courses in books, online apps and programs that can help improve language skills, but once the intermediate or advanced level has been reached, many are too basic. Also, videos and articles that are made for language learning can often sound artificial and dull. It’s easy to discuss the weather or chat about what you did on your last vacation, but how can you become more confident discussing interesting ideas with work colleagues and business partners? It has been shown time and time again that motivation plays a significant role in the process of learning a language. If you are not interested in the topic, you won’t remember the key vocabulary and sentence structures. But if you are engaged in what you are hearing, you will automatically absorb and remember the language as well. Most TED talks are between 15-18 minutes long. This is long enough for the speaker to go deep into the topic area and present lots of interesting ideas, but short enough so you can watch a talk 2-3 times to fully analyse the language and structures used in the talk. You can watch TED talks online with or without subtitles, and you can also view the interactive transcript (the text of the talk), which is very helpful for discovering new vocabulary. 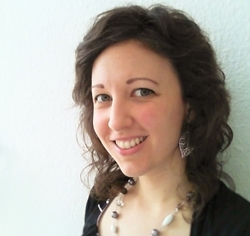 Language trainers will be happy to know that each talk can also be easily downloaded for free. In addition to their website, TED also has a mobile app with which you can save talks to your device to watch or listen to offline – great for listening while in the car or at the gym! There is also a TED Radio Hour podcast that presents selections from various talks on similar themes in an engaging interview-style format. 1. Watch the first time without subtitles: Choose a talk that interests you and watch it without subtitles the first time. Try to listen out for the main topic and the most important points. 2. Watch the second time with subtitles: Click on “Subtitles”, select “English”. Watch the talk again, but this time with subtitles. Now try to catch more details and other points or examples the speaker uses. 3. Read the transcript: Click on “Interactive transcript”. Read the text of the talk, highlighting new vocabulary and underlining quotes/points you find interesting. 4. Work on vocabulary: Look up new vocabulary (8-10 per talk) and write a sentence using each word. Write the words on sticky notes, make flashcards, or use a flashcard app such as Quizlet to review them often. Try to incorporate these new words into your “active vocabulary” by using them as often as you can in conversations, meetings, etc. 5. Share your knowledge & opinions: In English, summarize the talk for a friend, discuss the topic with a colleague, or find a language tandem partner you can share interesting things you learned in the talk. If you are taking part in an English course or working with a private trainer, try sharing what you heard from a TED talk in class, or show a talk to the group and discuss it together. Whatever you do, be sure to recycle the language you hear, and practice summarizing and talking about the main points. Although some talks may be challenging at first depending on the speaker’s style, talking speed and accent, stick with it and soon you will see your listening, vocabulary and speaking skills improve. Maybe you will learn something new that can be a great conversation starter at your next networking event, too. 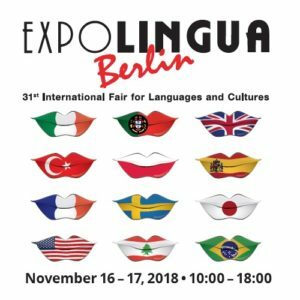 Sherri Williams is a freelance Business English trainer in Berlin and Vice Chair of the teaching association ELTABB and will speak on November 21 at Expolingua Berlin.